Hindus have not committed a single act of terror in thousands of years, Modi says at a farmer's rally in Wardha, Maharashtra. 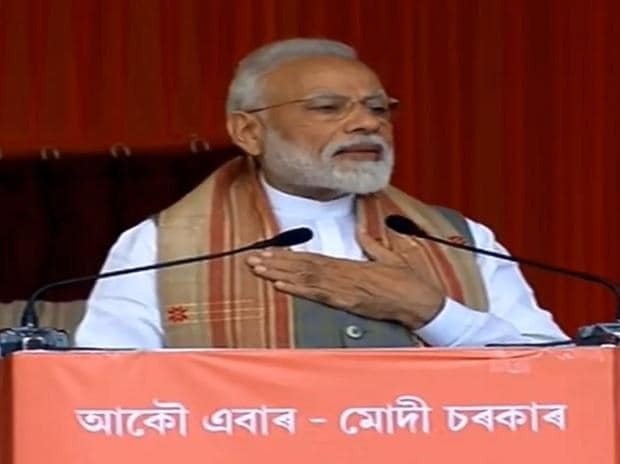 Prime Minister Narendra Modi on Monday called on supporters at an election rally to punish the Congress party for coining the term "Hindu terror." Hindus have not committed a single act of terror in thousands of years, Modi said at a farmer’s rally in Wardha, Maharashtra, launching the Bharatiya Janata Party and Shiv Sena alliance's Lok Sabha poll campaign in the state. He was speaking after a court ruled in the long-running trial of four Hindu activists charged over their involvement in the 2007 bombing of the Pakistan-bound Samjhauta Express train that killed 68 people. All were acquitted by the court on March 20, citing lack of evidence, reports news agency Bloomberg. "The Congress tried to stain crores of the country's people using the term Hindu terror. Tell me, weren't you deeply hurt when you heard the term 'Hindu terror'? Is there a single incident in the history of thousands of years of Hindus engaging in terrorism?" Modi was quoted by news agency PTI as saying. Congress leaders had abandoned constituencies of majority Hindus to fight elections from minority areas in fear of backlash, Modi said. He was referring to the Congress announcement on Sunday of its plans to field president Rahul Gandhi from two constituencies -- his family’s traditional stronghold Amethi in Uttar Pradesh and from Wayanad in Kerala, where Hindus constitute just half the population, compared to a national average of 80 percent. "They linked peace-loving Hindus to terrorism... they are scared now to contest election from constituency where majority population dominates...they are forced to go where majority (Hindus) are in minority." The Wardha constituency is one of the seven Vidarbha parliamentary seats which go to polls in the first phase of Lok Sabha elections in Maharashtra on April 11.